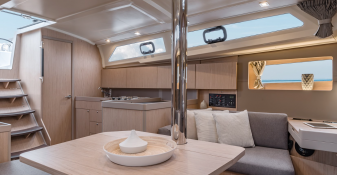 The Oceanis 41.1 for rental in southern Croatia will allow you to sail both to the Kornati and to the islands of the Dalmatia to the south. 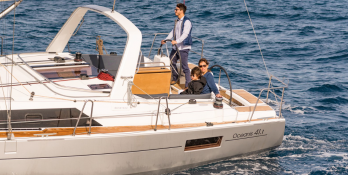 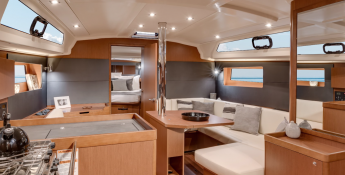 Located in Dubrovnik, Split and Trogir, Croatia, this Oceanis 41.1 (3 double cabins), available for bareboat, built in 2017 by Beneteau, is capable of hosting up to 8 passengers. 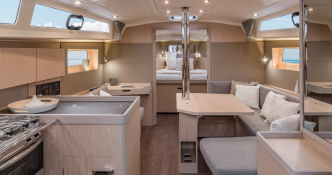 Further more, and for a complete bareboat charter journey, Oceanis 41.1 comes with electronic on board, equipped galley, solar panels and WiFi.